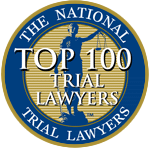 Northern California Truck Accident Law Firm, based in San Francisco, representing victims of motor vehicle accidents in Personal Injury and Wrongful Death suits. 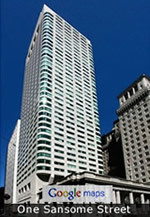 More than two decades of respected litigation expertise. Truck accidents involve unique issues, and are often caused by truck drivers who are under the influence of drugs or alcohol, fail to brake correctly, refuse to allow another vehicle to merge, drive too fast for the conditions, are fatigued, or swing too wide when making turns. Truck drivers also cause accidents when they shed tires or other objects on the road, drive a load which is too big, heavy or not properly secured, fail to properly inspect tires, brakes and lights, or are driving defective or poorly maintained rigs. Quite often, truck drivers work illegally long work shifts and have unrealistic schedules that make them drive negligently. It is therefore important to hire an aggressive and knowledgeable truck accident attorney familiar with these issues, who will conduct a prompt investigation of the accident and your injuries, who has credibility with truck insurance companies, and who will work energetically to obtain for you the compensation to which you are entitled. The Law Office of Daniel H. Rose, with more than 25 years of litigation experience, is a California truck accident law firm that handles cases involving truck accident injury or death claims. We are committed to achieving the best possible result for every client. Accidents involving trucks more often result in severe injuries or death due to the enormous difference in the size and weight of trucks relative to passenger cars and other vehicles. As set forth in national government statistics, 30,000 people were injured in 2015 in crashes involving large trucks, and 667 were killed. 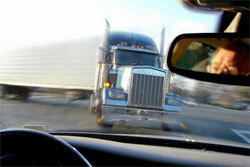 Anyone involved in an injury accident with a truck should contact a truck accident attorney as soon as they are able. Delay in speaking with a personal injury attorney can result in the loss or compromise of important information and hinder an optimal investigation from being conducted. Once our office accepts your injury claim, we immediately launch a thorough and intensive investigation in order to present the best possible case. Using top accident reconstruction and medical experts, we thoroughly and aggressively move your case forward to recover the compensation you deserve. If you have been injured, we will pursue all types of damages to which you are entitled in a motor vehicle accident. a knowledgeable truck accident personal injury lawyer. Put your case in knowledgeable and experienced hands. Call The Law Office Of Daniel H. Rose at 415-946-8900 for a free, no-obligation, confidential initial consultation and case evaluation by a knowledgeable truck accident personal injury lawyer. Can I call and speak with an attorney about my case without cost or obligation? We welcome you to call us for a free, no-obligation consultation and evaluation by a knowledgeable lawyer. Learn more about what you can expect when you call and about our experience, reputation and commitment to our clients. 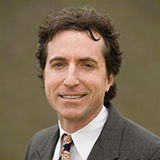 To learn more about how this Bay Area truck accident lawyer can help after your truck collision, or to discuss your truck accident claim or wrongful death claim with an experienced San Francisco personal injury lawyer, call San Francisco truck accident lawyer Daniel Rose at 415-946-8900.